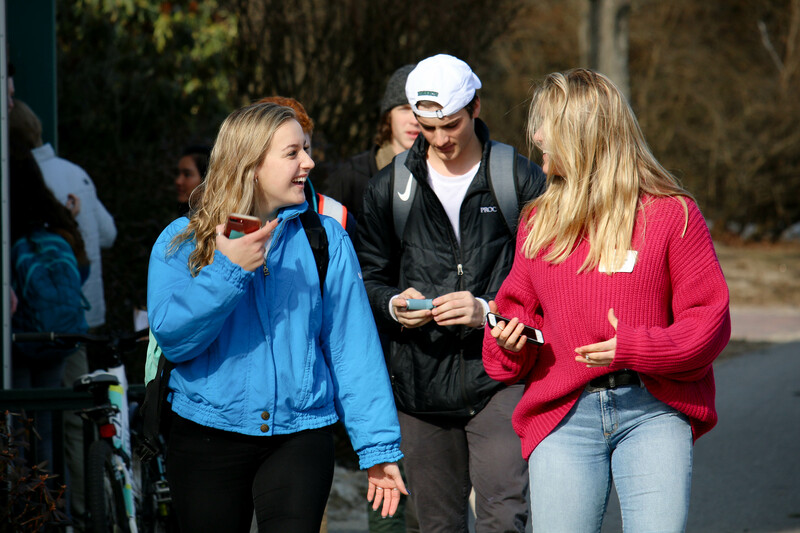 During Revisit Days (March 29 and April 5), Proctor will welcome over 100 of these newly accepted students to campus to experience a “day in the life” of a Proctor student. 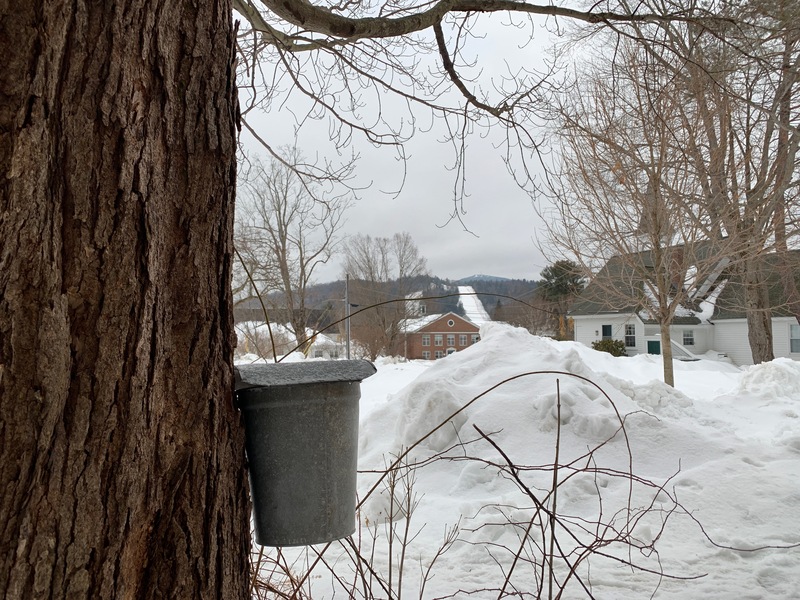 These days provide an opportunity for families to ask questions, to probe a little deeper, and, most importantly, to soak up the intangible ‘feel’ of the Proctor community. During the next two weeks, our goal is to help families understand the value of being different, about how we have intentionally chosen a different educational philosophy in order to deliver a unique experience that we believe is optimal for adolescents. This is what our prospective families have experienced during the admissions process, and what we want them to see one more time on Revisit Days in a few weeks. 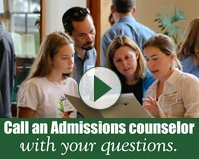 As we think about the decision of choosing an independent school, we offer three pieces of advice to prospective families considering Proctor's truly unique educational experience. 1) Don't try to compare Proctor to your other options. We're different. And that's ok.
As you attend each school's Revisit/Accepted Students Day, you will find similarities among the other schools you have visited: the facilities, the people, the small class sizes, the sense of community. You will compare one to another. This school had a great science building, but that one had a better dining hall and the food was a bit better there. When you visit Proctor, set the comparisons aside. Do not expect the same old routine of Revisit Day, and certainly do not expect to feel the same vibe on campus as other schools. Maybe you will fall in love with Proctor's uniqueness. Maybe you won't. We will not be offended if you feel the fit at Proctor isn't quite right, but we certainly will not change who we are in order to make you like us more. We believe deeply in who we are, and we will never, ever, apologize for the school we seek to be or the mission we pursue. 2) The whole of the school is what is important, not individual programs. Every independent school offers remarkable programs (Proctor included). But as you visit schools, do not be blinded by shiny objects. Do not allow your attention to be solely focused on a singular program that interests you. When you visit Proctor, we encourage you to take it all in. Visit every table at the activities fair in the gym. Talk to students. Talk to faculty. Talk to the amazingly talented dining services crew at lunch. Talk to the housekeepers and maintenance team who quietly keep campus looking beautiful. Move beyond the show that every school (Proctor included) puts on for Revisit Day and dig into the heart of the school. Programs are what attract students to a school, but it is the whole of the school that determines the capacity for growth for each student. You will not be the same person you are today when you graduate, do not limit your potential for evolution. Acknowledge the programs on your visit, but take time to learn about the whole of the community you are joining. Two, three, four, twenty years down the road, you'll be thankful you did. 3) You can learn much from the historical evolution of a school. Ask about it. Proctor is not the same school today as it was forty years ago. Our core remains constant, but as is the case with any school, we have evolved new programs and have grown in both physical plant and enrollment. It is important to learn about a school's history to understand why these evolutions occurred and how Proctor's unique culture was nurtured into the community it is today. Much can be gleaned from understanding a school's history; you will appreciate the vision of a past generation of leaders as well as the vision of the school's leadership today. 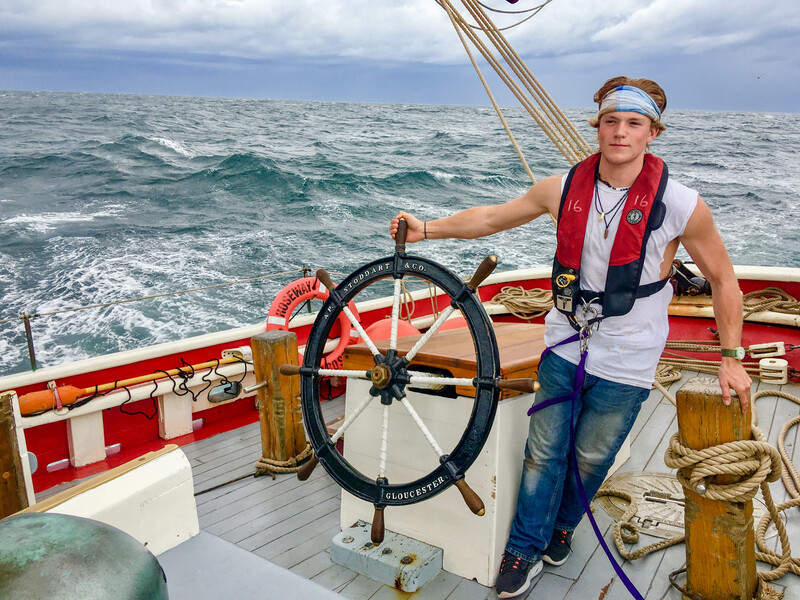 You will begin to understand the unique value in an academic support program that has been part of Proctor's fabric since the 1950s and off-campus programs that are going on their fifth decade of immersing students in cultures around the globe. You will appreciate the rationale and origins of Proctor's first-name basis, small dorms, and Wilderness Orientation. 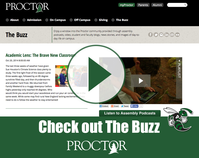 There is a reason we have evolved into the unique place we are today, take time to learn about Proctor's history HERE, and know that everything we do from a pedagogical perspective is intentional.